I first found out about the wonders of BB cream over a year ago. When my friend recommended BB cream to me the first thing I did was to go to Google and search for the best BB creams in the market. 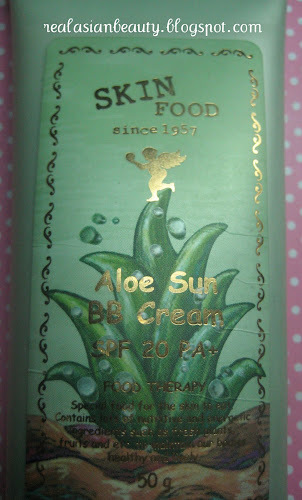 I read bloggers and YouTubers rave about how good Skin Food Aloe Sun BB Cream is so I just had to try it. Skin Food Aloe Sun BB Cream SPF 20 is an excellent treatment with UV protection, it especially suits people with sensitive skin. This cream leaves skin feeling moisturized white it corrects skin tone for a naturally air-brushed complexion. 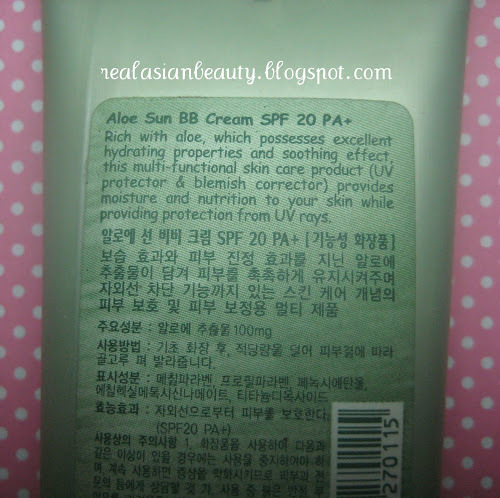 The description says that this BB cream is rich with aloe, which possesses excellent hydrating properties and soothing effect, this multi-functional skin care product provides moisture and nutrition to your skin while providing protection from UV rays. 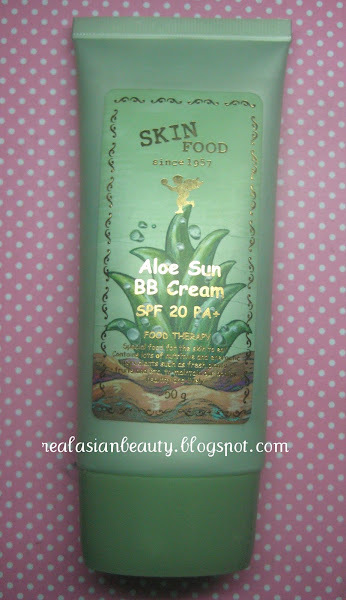 Aloe Sun Bb Cream comes in two shades. 1 for lighter shade. 2 for a more natural shade. I got mine in shade number 2 since I have dark complexion. 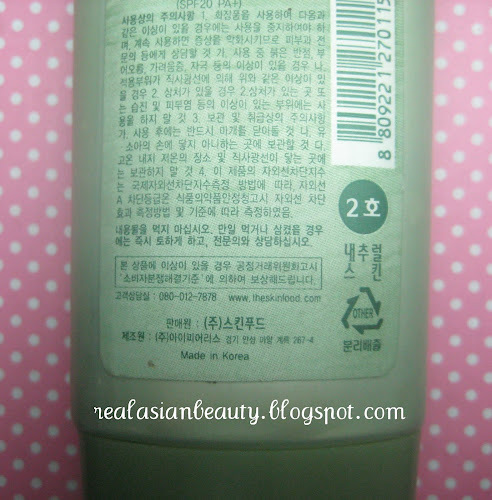 The product comes in green squeeze tube with gold details and a picture of an Aloe Vera in front. The tube is long and slim and it's perfect for your vanity table or in your makeup kit. The product doesn't come in any special box or packaging and when I got mine, it was just secured in a plastic wrapper. 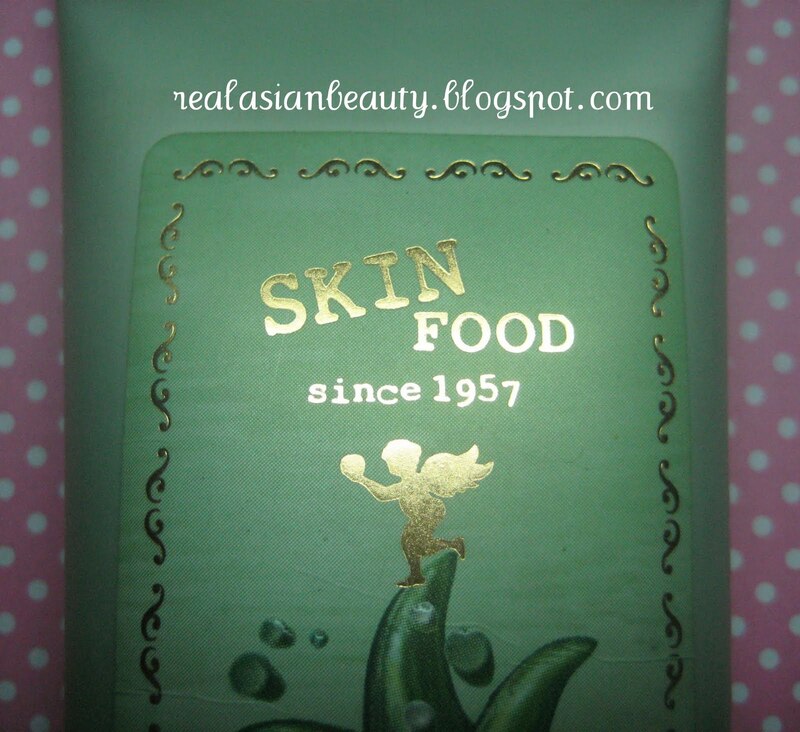 Skin Food claims that this BB cream is a Food Therapy. 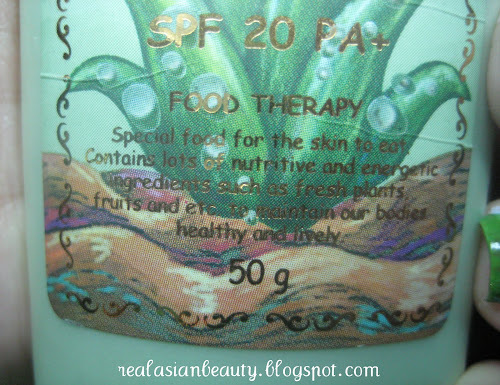 It's a special food for the skin to eat that contains lots of nutritive and energetic ingredients such as fresh plants, fruits and etc. to maintain our bodies healthy and lively. It is also an excellent treatment with UV protection, it especially suits people with sensitive skin. This cream leaves skin feeling moisturized white it corrects skin tone for a naturally air-brushed complexion. This BB Cream comes in one size only and each tube costs Php1,250 or about $29. 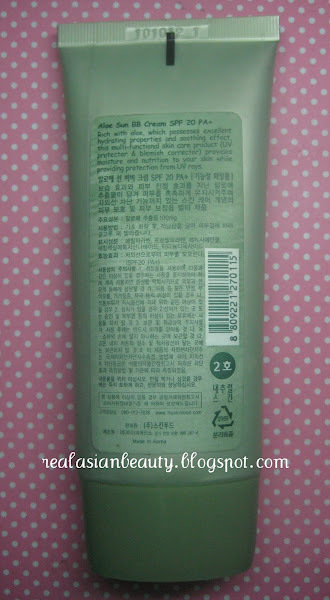 This product can be applied as a foundation or as a base before your foundation. I also suggest applying it with bare hands since the formula is thick and you don't want to have the cream sticking on your brush bristles rather than on your face, right? Here are some picture showing swatches of the product. 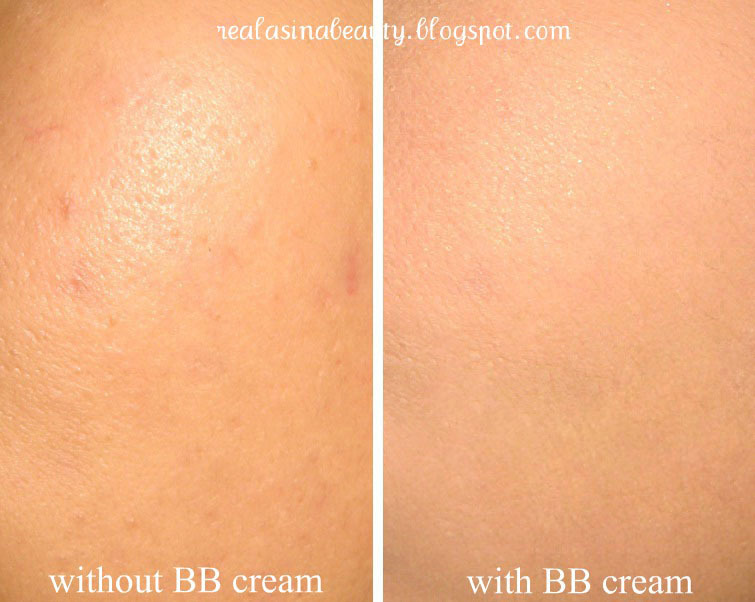 This is a photo of my skin without and with BB cream. The photo was taken under natural light and no flash. 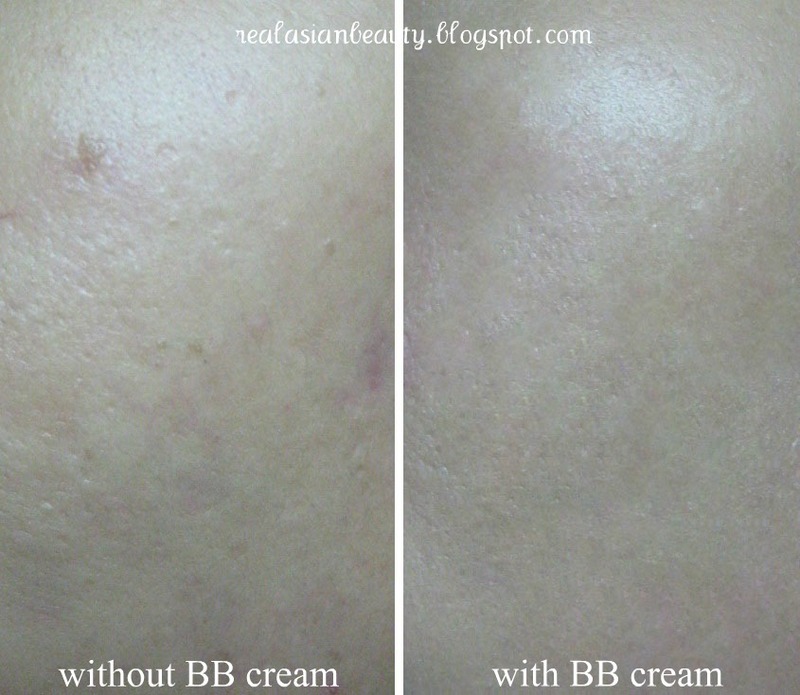 And here's a photo of my skin without and with BB cream. The photo was taken under natural light with the camera flash turned on. It is available locally in the Philippines. The price may vary depending on the person who wants to buy it. Some people consider it cheap while some may consider it expensive. I personally consider it as inexpensive knowing that its a great product but it's really affordable. The scent is good. I have tried other BB creams with unexplainable scent but this one has a nice smell and I feel like the scent is still healthy for my face. It comes with SPF 20. Oil control is good. 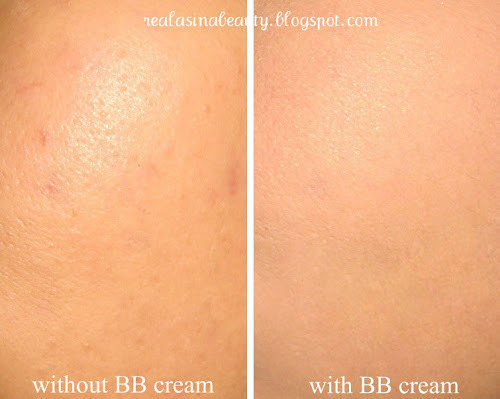 Compared to other BB creams that would make you feel like a greased pan upon application, I can say this BB cream is better. The coverage is good. If you are having problems with your scars and spots, then this product is really for you. It covers your imperfections while leaving your face smooth. It leaves a certain glow to your skin. It makes skin appear smoother, brighter and healthier. People living in other countries may find it hard to get a hold of this product. You may need to order online and wait for a couple of days before you receive it. It comes in two shades which are both light. Skin Food is a Korean brand and when they made this product, they forgot about the consumers outside Korea. I have dark skin and I find that when I accidentally apply too much, I always end up having an unbearable white face and dark neck. A little hard to blend. The formula is thick and skin absorbs it fast so you may find it hard to blend the cream especially if you have dry/oily skin. It's okay upon application but it gets too oily after a couple of hours. I suggest using a good mineral powder on top of it and you may want to blot your skin every now and then. I like this BB cream and many people compliment my skin every time I use this. 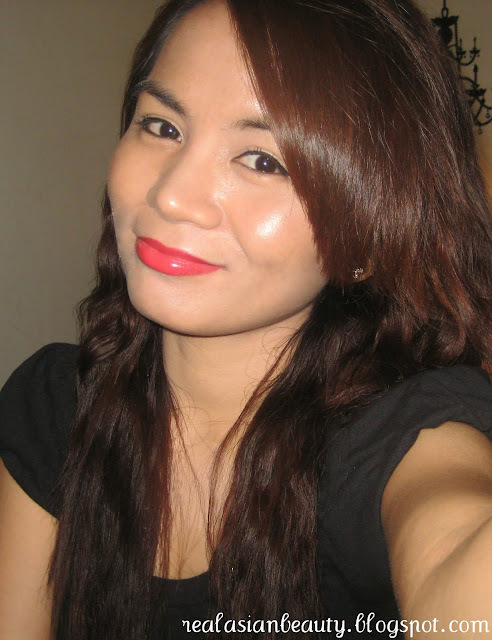 They notice that my skin appear smoother and brighter and my imperfections are concealed. I also didn't have any break out or irritation upon trial. I recommend this product to people who are looking for the best BB cream but don't know where to start. How about you? Have you tried this product? Did you like it? Comment below and let me know what you think.